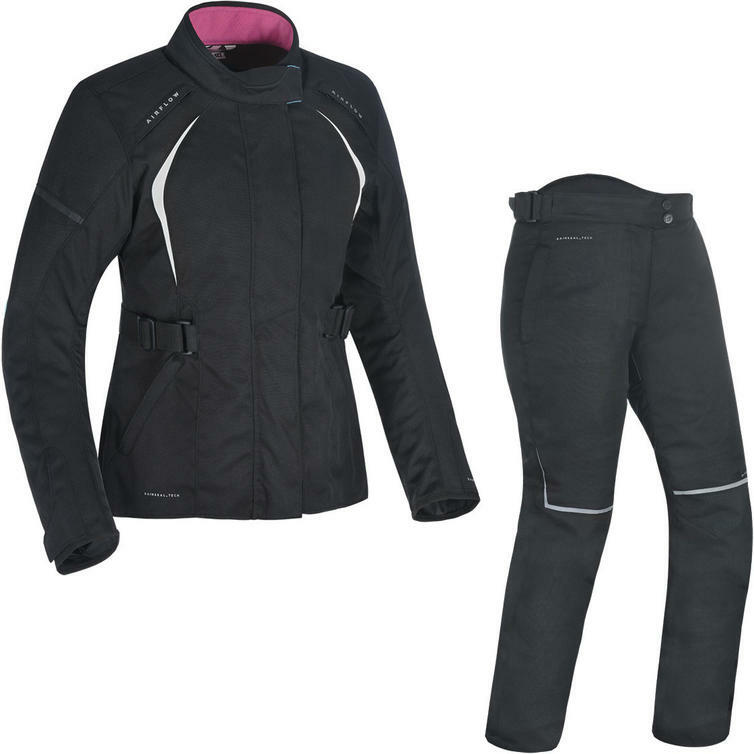 The Oxford Dakota 2.0 Ladies Motorcycle Jacket & Trousers Black White/Tech Pink Kit is part of the latest Oxford collection. 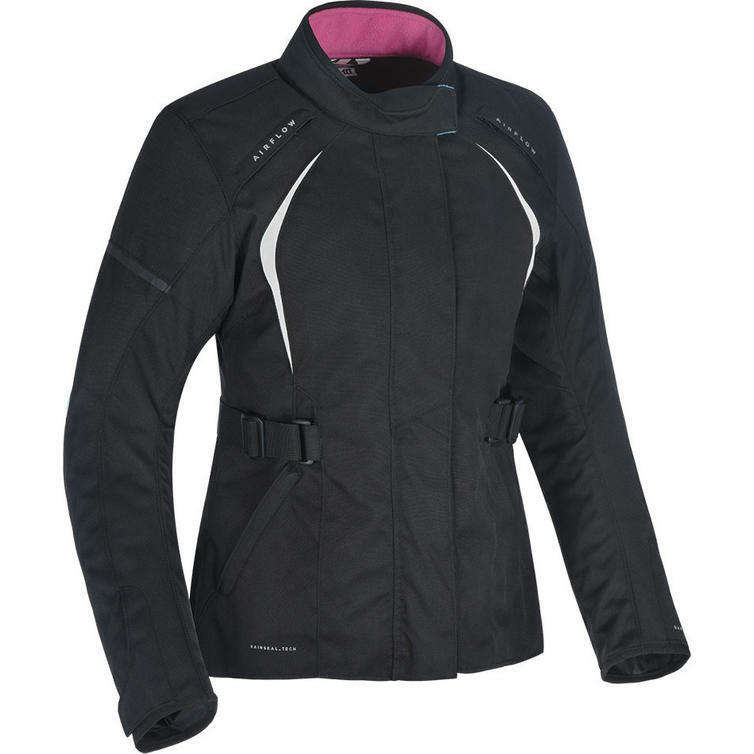 A straight forward, long style touring jacket created for women who like simple, clean designs. Beautifully tailored, this new version of Oxford's Dakota jacket is cut for women only. It has a neoprene and fleece collar, adjustable via hook and loop. Ventilation is supplied via two inlet vents on the front shoulders and a rear yoke outlet. Waist and hip adjusters ensure the perfect fit and the jacket also comes with cuff adjusters. Pre-curved sleeves give extra comfort. The zip is protected by a storm flap to keep the worst of the weather at bay, but when it heats up, the thermal liner can be removed. There are three inner pockets including a napoleon pocket. Subtle black reflective elements make sure that the jacket is seen in low light conditions. The Dakota 2.0 pant is a simple, functional, well-tailored garment which complements the new Dakota jacket perfectly. It has a press stud and hook-and-bar closure on the adjustable waistband and hand warmer pockets. The waist also has belt loops if there is a requirement for an added belt. Reflective heat transfer logos are applied to the knees, calf and seat areas for that added security when riding at night. Abrasion resistant materials on the knees and the seat give better wear and a high-rise is included at the back to make the fit between the jacket and pant improved, with of course a short zip for the jacket attachment. An accordion stretch panel across the back of the pant allows for flexibility and a grip panel in the trouser seat gives extra security. 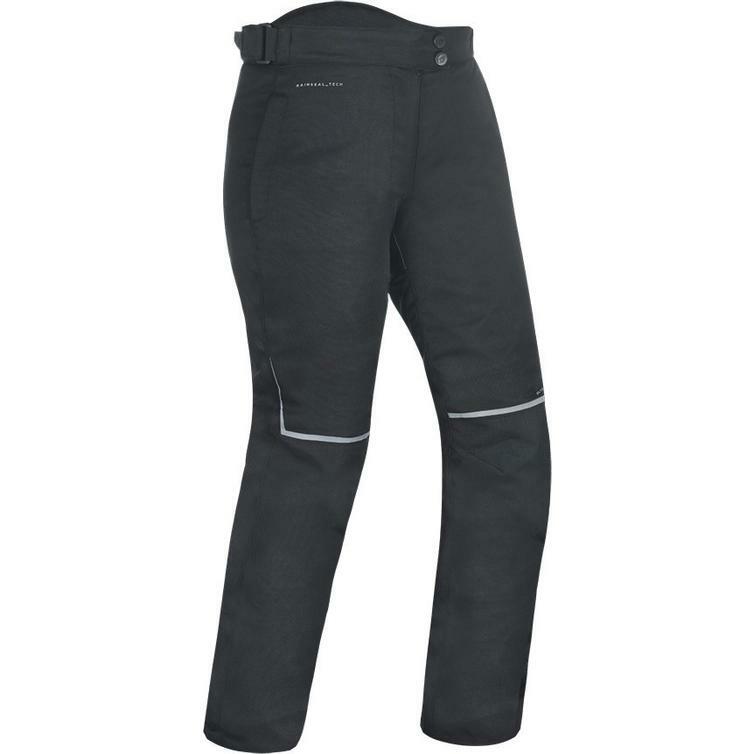 The inside of the pant features a removable liner for when the weather gets hot and level 1 knee protectors are provided. Three leg lengths are available. View all Oxford Ladies Motorcycle Kits. View all Ladies Motorcycle Kits.